How often do we look back wishing that we could change things that happened in our lives or wish that we had tried something new. I wonder what makes us think it is too late. It is never to late to start something new. 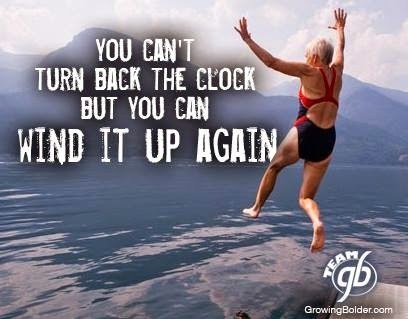 So if you have been wanting to learn to play the piano, take up yoga, start a new career or anything else your heart dreams of, it is never too late to wind it up again. So many times in my life, I've thought, I should do this or that, but I'm too old now. And then years pass, and it comes up again in my mind, and I think, I should have started back when I first thought I was too old. that's cute, but even with this message, it looks like her legs were photoshopped. sad. I love that picture because it reminds me of myself. I am always willing to try something new. For me, as long as safety isn't an issue, I will try a lot of things. Go for it! Great advice that I think we can all learn from! I feel the older that I get, the more I'm ready to take on new things. All verbal donations to my comment box are gratefully accepted. It is free for you and priceless to me. It's a Small Town Life! Visit Laura at I'm So Vintage's profile on Pinterest. 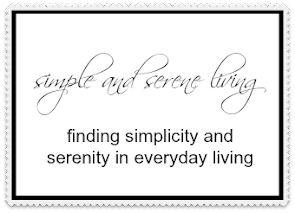 Simple and Serene Living all rights reserved. No part of this website or any of its contents may be reproduced, copied, modified, or adapted, without the prior written consent of the author unless otherwise indicated for stand-alone materials. Excerpts and photos may be used provided that full credit is given to Simple and Serene Living. User must provide clear and specific direction to the original content.